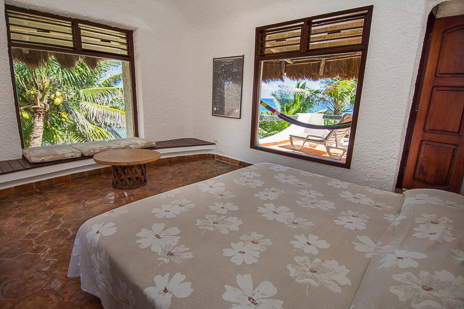 BR #1: Second level master suite with king bed, private bath, private terraces (ocean view and jungle view) and separate study area. 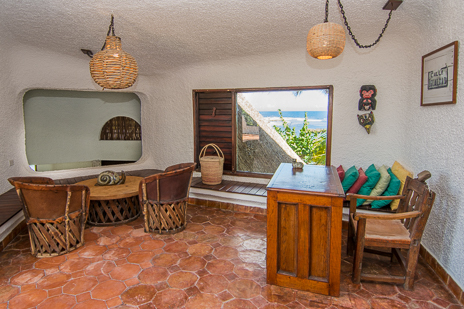 More about Casa Christensen . 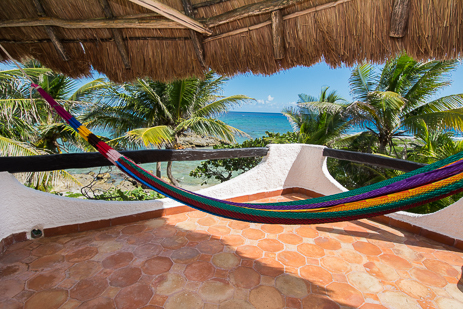 . .
Wow is the word for this truly unique vacation paradise! 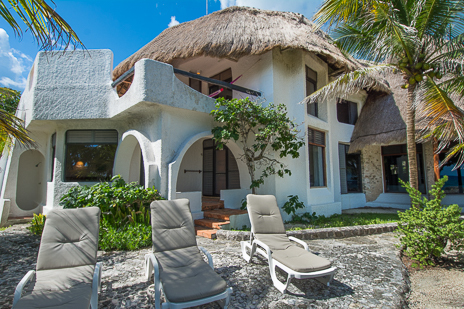 Nestled amidst the palms along a tropical blue lagoon, Casa Christensen is situated on a spacious double lot which provide the utmost in privacy, privacy, privacy. 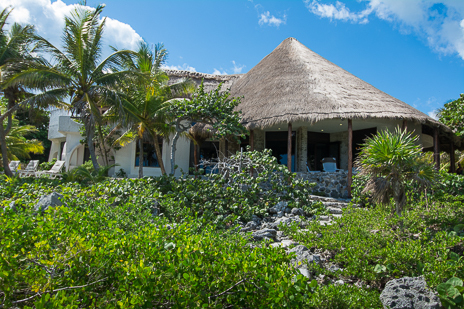 This remarkable villa was designed by the renowned architect of the famous Maroma Resort. The design incorporates curved lines to mirror the shape of the pristine Yalku lagoon and rock formations within it. 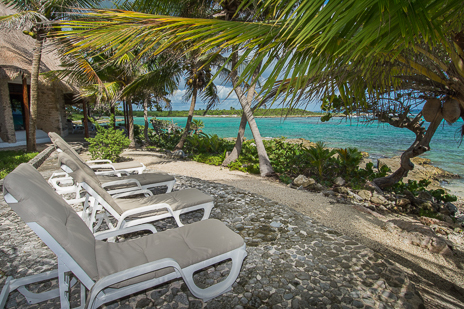 Rounded patios and rooms within the villa promote the feeling of closeness to the lagoon and provide expansive views of the spectacular and ever-changing blue hues of the lagoon and the Caribbean sea beyond. 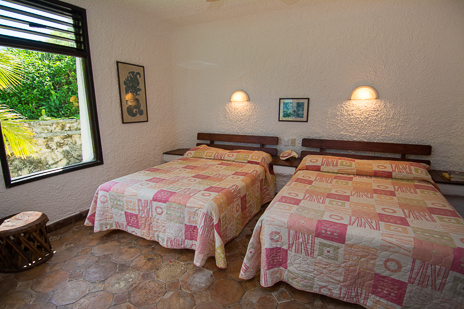 Casa Christensen is an ideal location to escape to a quiet and simple life where you can enjoy rest and relaxation. The world stands still so you take the time to reconnect with yourself and your friends and family. 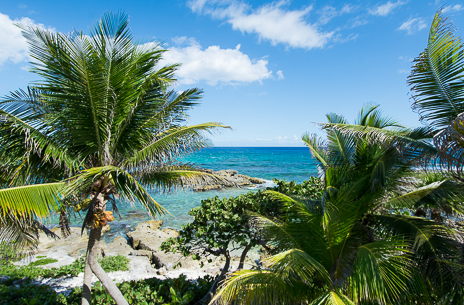 Take this time to appreciate the natural beautiful of this idyllic setting. And, don't worry, if you feel the need to "plug in," free WiFi is provided! 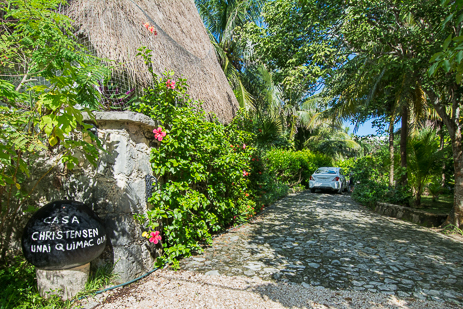 A long drive way through a lush garden leads to Casa Christensen (plenty of parking!). 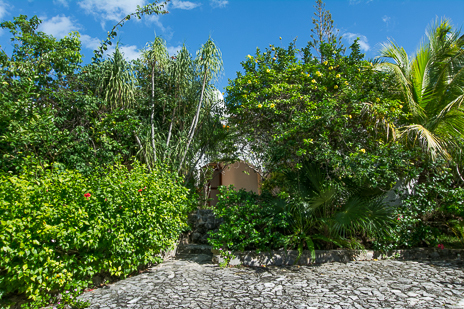 From here, a pathway through the palms and flowering bushes will take you past a garden patio and the front entry. 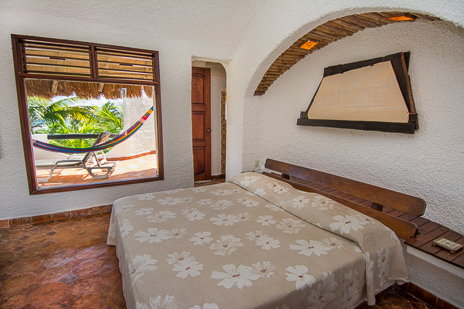 Inside the double doors, you will be impressed with the open and airy design of this roomy villa. 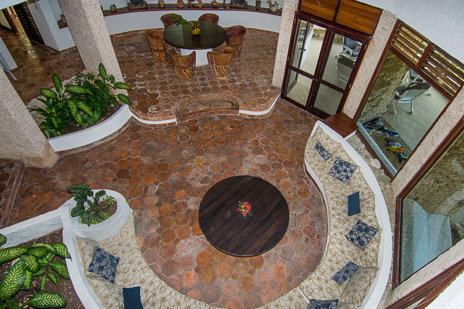 The round living area opens 30 feet above to the second level; the high ceiling provides wonderful ventilation and airflow so Casa Christensen does not require air conditioning, though there are ceiling fans throughout the house. 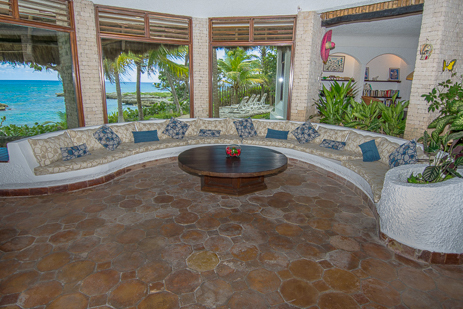 The living area features a huge crescent shaped sofa, interior garden and panoramic views of the amazing Yalku lagoon with its sparkling turquiose waters. 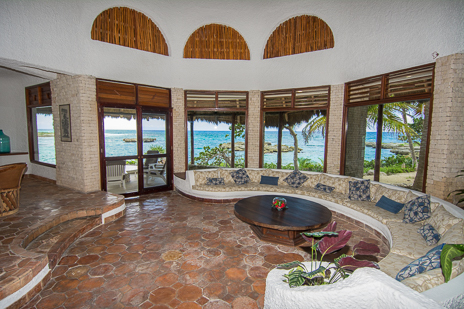 Adjacent to the living area is a large dining area with views of the lagoon. 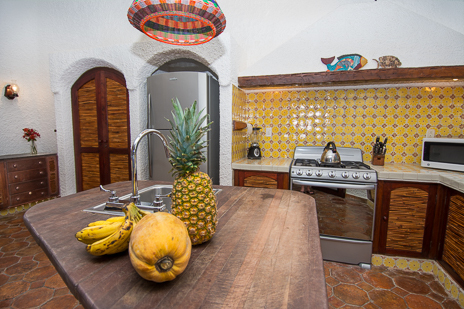 The house staff is available to cook delicious and authentic Mexican meals for you on request. 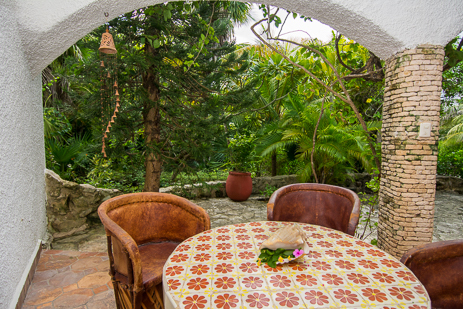 Details and sample menus are available in the villa. 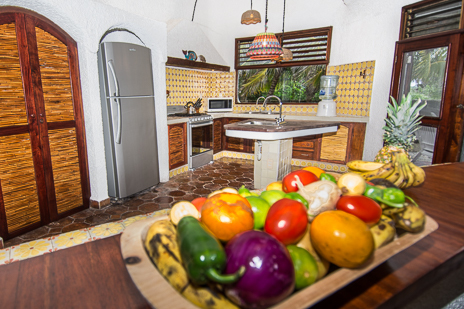 The fully equipped kitchen is enormous and has all that you need to to prepare a full meal or let Octaviana and Pedro pamper you with delicious meals at a small fee! 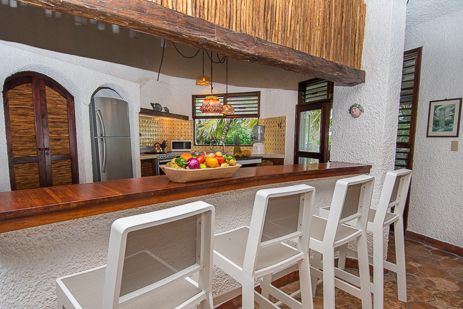 A lunch counter/bar off the kitchen is a great place for a quick snack, morning coffee or evening cocktail. Or . 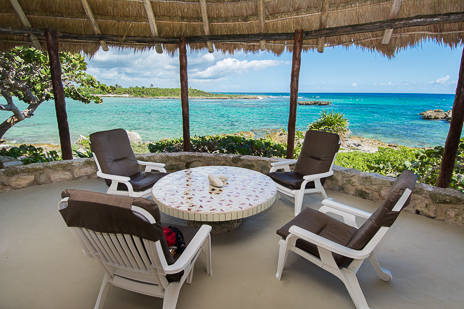 . . take a stroll out to the palapa patio along the edge of the lagoon and enjoy the stunning views. 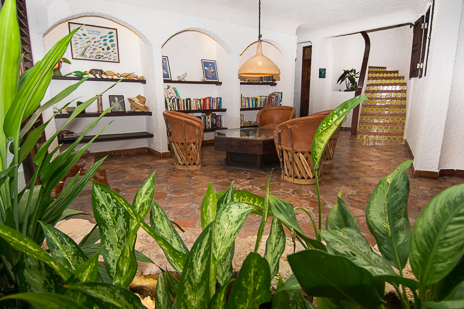 Meanwhile, back on the main floor, you'll find another sitting area in the library, just off the living area. 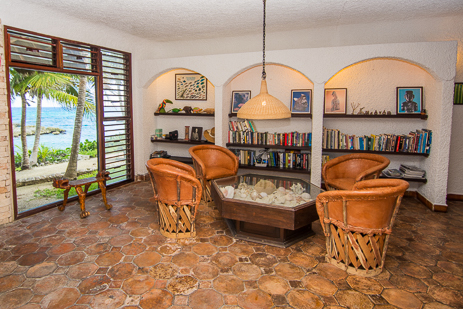 The library also has sea views, table and chairs and a fine selection. 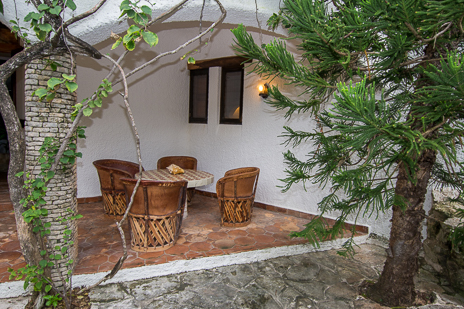 A circular stairway leads to the second level from this area. 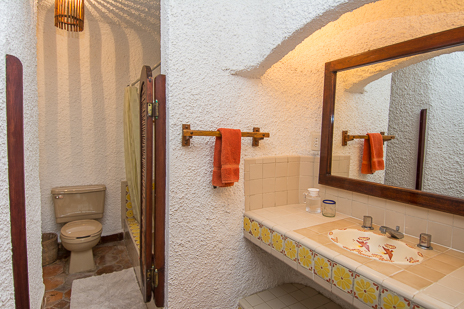 There are 4 bedrooms in Casa Christensen. 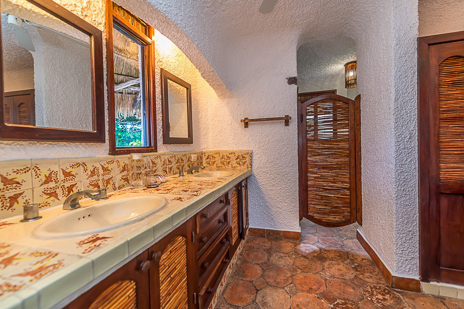 Three bedrooms are on the main level: 2 bedrooms are down the hall from the library; both have 2 double beds and private bath, and doors to a lagoon side patio area. 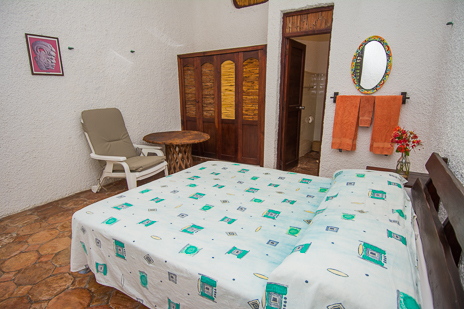 Third bedroom on the main level has a private entrance (just past the kitchen); this bedroom has a queen bed and private bath. 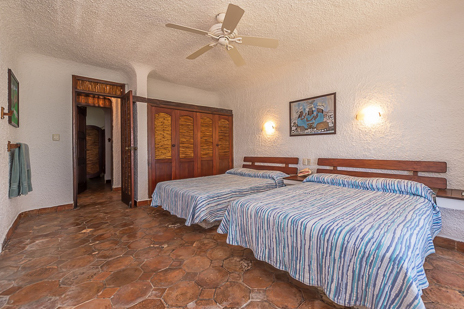 Up the circular staircase in the library to the second floor is the 4th bedroom. 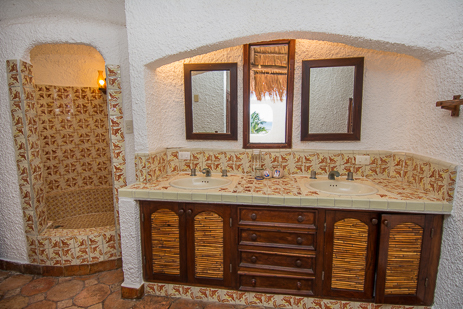 This master suite has a king bed, private terrace, separate sitting area, large closet and private bath with double basin sink. 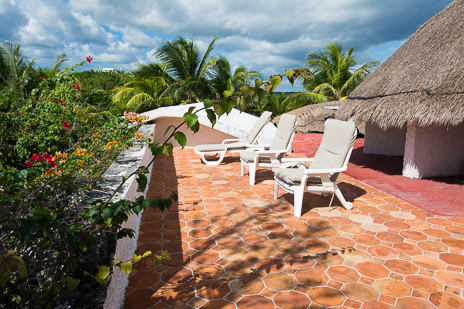 A rooftop patio area with ocean views and jungle views is accessed from the sitting area. 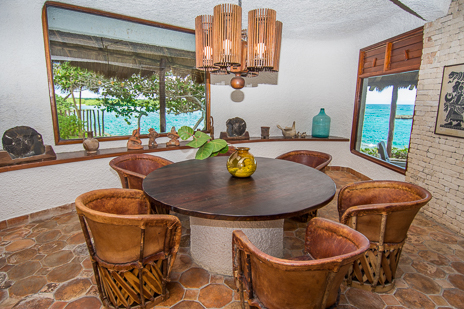 Ocean views and breezes were primary focus in the design of Casa Christensen. 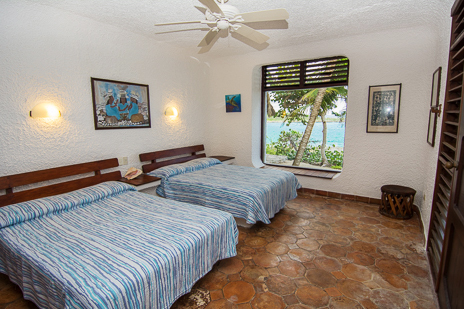 Most rooms offer ocean views and the villa is cooled by the gentle ocean breezes along with ceiling fans as needed. 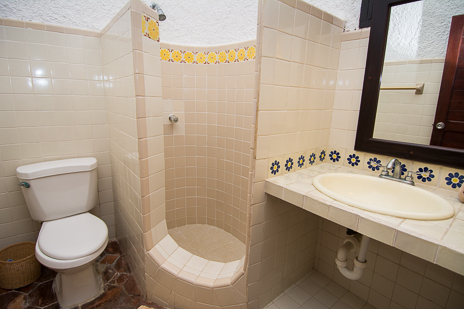 You will definitely enjoy your stay in Casa Christensen. 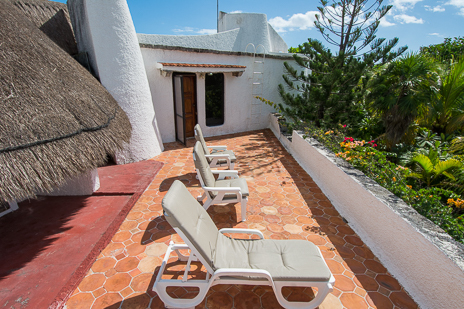 And outside, Casa Christensen is a tropical heaven with several outdoor patios and terraces. And best of all, the magical Yalku lagoon with is striking views and abundant fishlife waiting for you to discover. 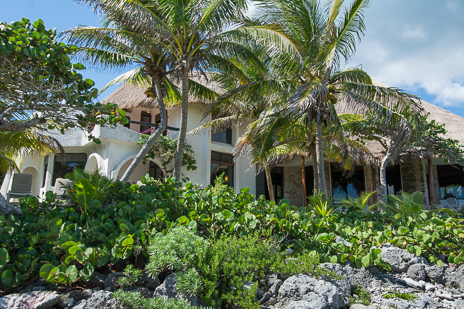 A walkway from the villa provides entrance to the lagoon where you can explore the exciting underwater world at your doorstep. 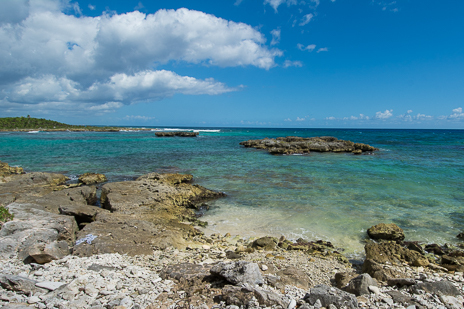 Others pay for the opportunity to snorkel in Yalku Lagoon; you have free and unlimited access from Casa Christensen. 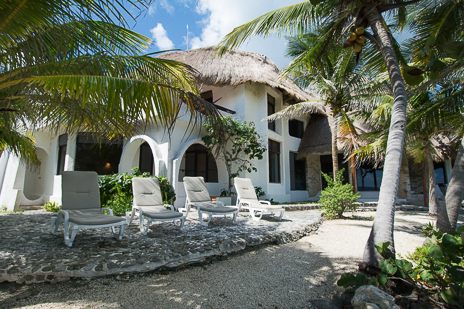 Casa Christensen is the perfect base for your tropical vacation on the Riviera Maya. 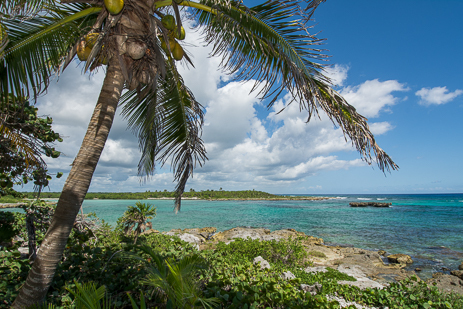 In additional Yalku Lagoon, you are within 1.5 mi. 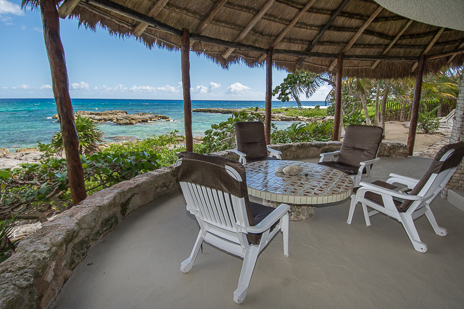 from restaurants, shops and sandy beaches; a pleasant walk or you can rent bicycles or golf carts. 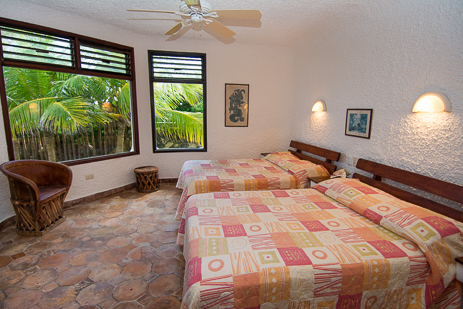 Reserve Casa Christensen for you tropical vacation in paradise. 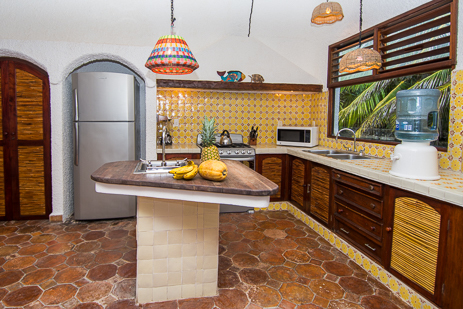 You can't have too many cooks in this kitchen; it's VERY spacious!